There are a number of instances where it may not be possible to have charges automatically captured as part of regular winery work. For example you may charge your client on installments and then only for supplemental work performed outside the standard fee schedule. In this instance you will need to raise ad-hoc charges in order to capture the information for billing. This is particularly relevant for any installments you charge before harvest and where no wines exist within vintrace to raise charges against. Just like your other billable items you can create billable Items that are not linked to any operation or action within the system under Winery Setup – Billing – Items . 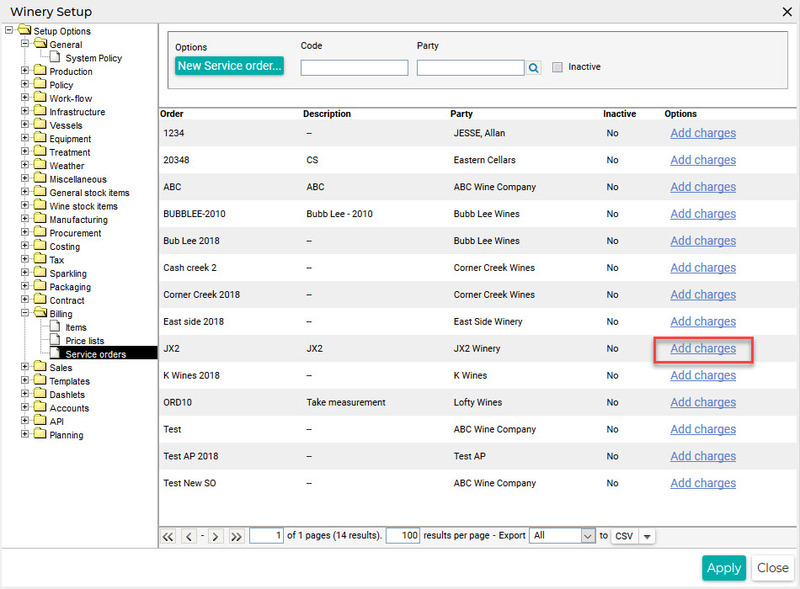 You can then add charges by using the Add charges button under Winery Setup – Billing – Service orders. On the selected service order click Add charges. 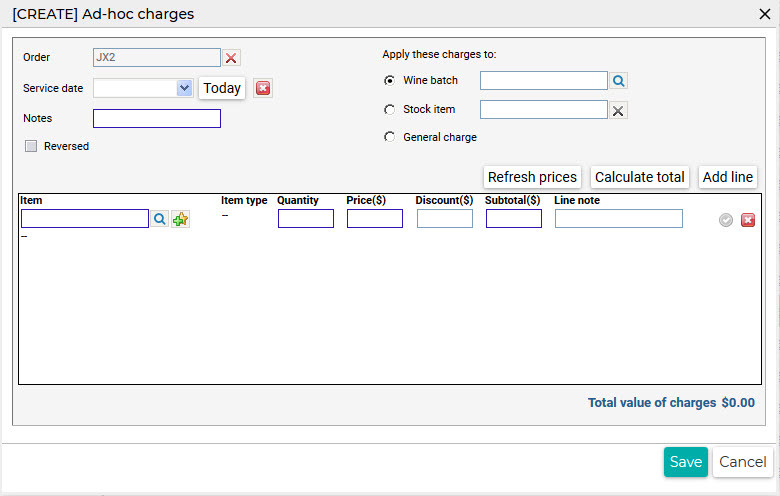 Select the Wine batch or Stock item that you want to link to this charge or you can select General charge. You can manually enter the billable item and use Add line to add more. A Note is mandatory for this method of adding charges that should describe accurately the reason for the charge. You can elaborate in more detail using the Line note field. Click Save to confirm the charges.